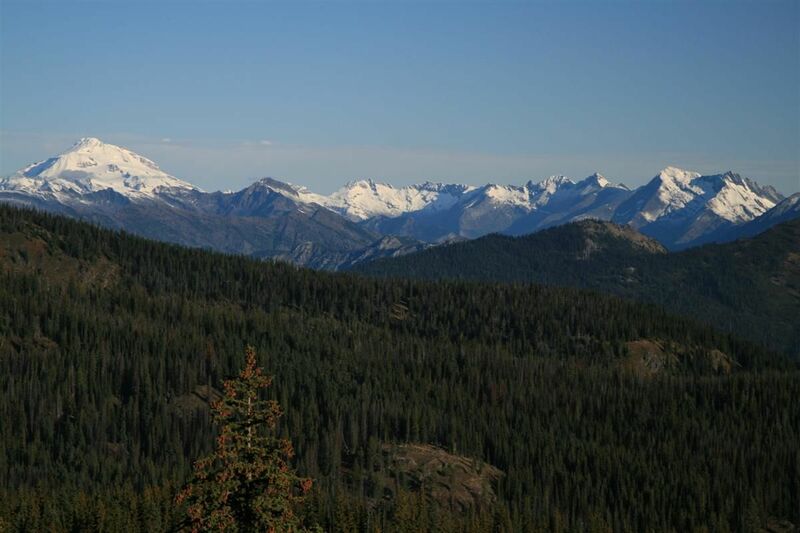 Larch Lake from High Camp via North Fork Chiwaukum and McCue Ridge Trail is a 9.9 mile moderately trafficked out and back trail located near Leavenworth, Washington that features a lake and is rated as difficult. The trail offers a number of activity options and is best used from April until September. Dogs are also able to use this trail but must be kept on leash. Look online for Scottish Lakes High Camp, an outfit that mans a neat small lodge with a smattering of cabins for rent. 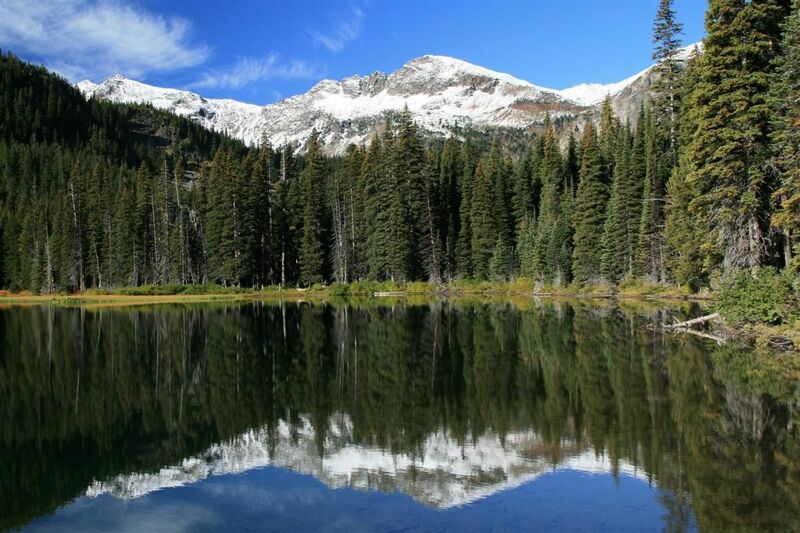 Originally designed for backcountry skiing, it's a great base camp to get you quickly into Larch Lake. 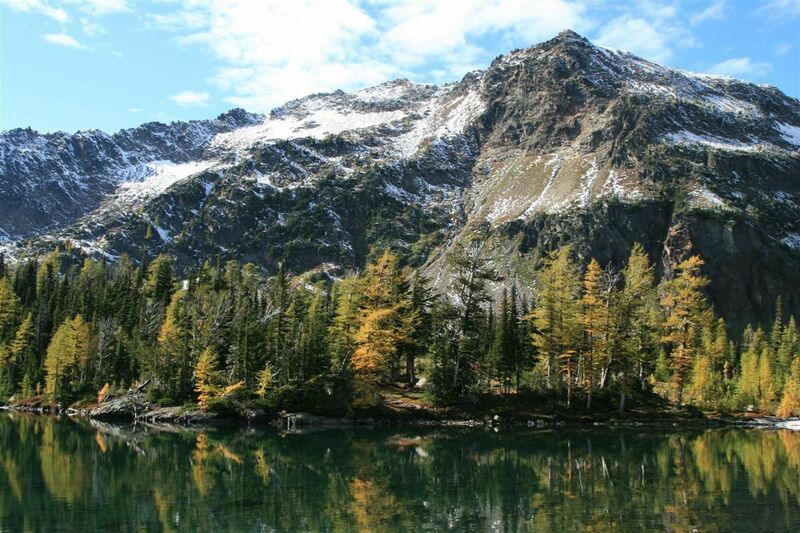 The trail here gains the top of McCue ridge, and then steadily angles down to the shores of Chiwaukum Lake, a large beautiful lake only 3 miles from High camp. 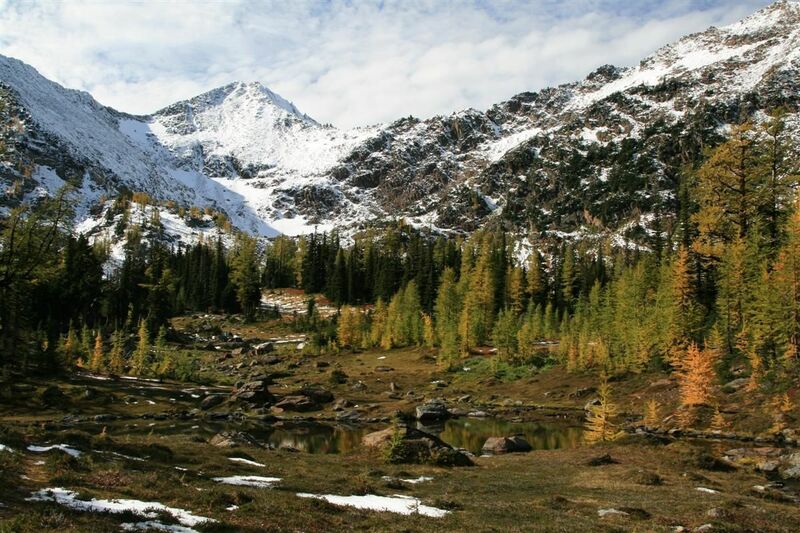 The trail continues up along the stream that feeds the lake until you reach the Larch Lake basin. The surrounding mountains have received their first snow, and the lake is now brilliantly lit in fall colors. Follow Macs Express trail uphill to McCue Ridge. First junction you come to will be Sunset trail. Stay straight on Macs Express. Here you will cross over the Low Road trail. Follow signs straight to Cliffhanger. Trail ends here, but follow blue ribbon through trees to grass meadow, and you will pick up the McCue Ridge trail, about 100 yards away. Turn left here to follow trail #1574 down to Chiwaukum Lake. Trail 1574 ends here at a nice camp area near Chiwaukum Lake. Turn right onto trail #1591 to Larch Lake. First snow on Chiwaukum Mts, reflect off the mirror finish on the lake. Trail leads through an open area that turns scarlet in the fall. Fall colors explode against the fresh snow on Chiwaukum Mt. 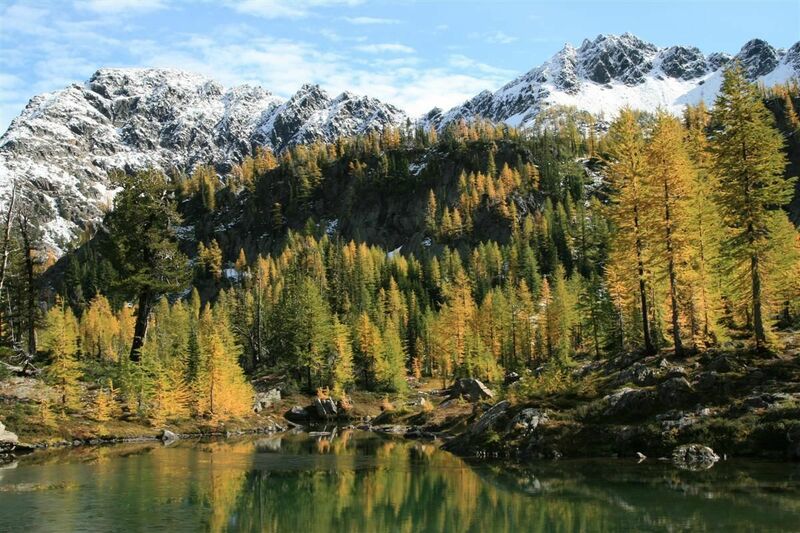 There is no better time to see the beautiful colors of Larch lake than during fall. Even at the end of summer, there is still massive chunks of snow lingering.